From the Angola 3 Newsletter. This morning we lost without a doubt the biggest, bravest, and brashest personality in the political prisoner world. It is with great sadness that we write with the news of Herman Wallace's passing. Below is a short obituary/press statement for those who didn't know him well in case you wish to circulate something. Tributes from those who were closest to Herman and more information on how to help preserve his legacy by keeping his struggle alive will soon follow. Herman Wallace's early life in New Orleans during the heyday of an unforgiving and unjust Jim Crow south often found him on the wrong side of the law and eventually he was sent to the Louisiana State Penitentiary at Angola for armed robbery. While there, he was introduced to the Black Panther's powerful message of self determination and collective community action and quickly became one of its most persuasive and ardent practitioners. 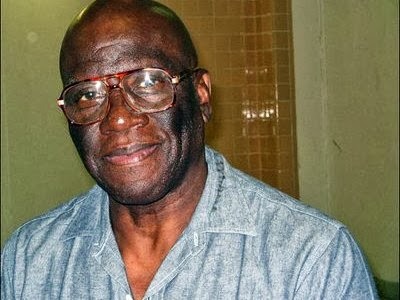 Robert was released in 2001 after 29 years in solitary but Herman remained there for an unprecedented 41 years, and Albert is still in a 6x9 solitary cell. Herman's criminal case ended with his passing, but his legacy will live on through a civil lawsuit he filed jointly with Robert and Albert that seeks to define and abolish long term solitary confinement as cruel and unusual punishment, and through his comrade Albert Woodfox's still active and promising bid for freedom from the wrongful conviction they both shared. For more information visit angola3.org and angola3news.blogspot.com.